Accounting can easily be referred to as the lifeline of a business. It does not only help to ensure the smooth running of the business but helps keep the various aspects of the business in line to maximize the bottom-line. Which is why all businesses need to ensure that they hire professional Bookkeeping Services. But if you’re still not convinced on how bookkeeping services can help with the posterity of business, here are a few reasons, which can change your mind. Irrespective of the fact whether you’re a startup, a small business or a growing organization, it is imperative that your business’ accounts are always kept in order. They help to project an accurate picture of the state of affairs and keep you on your toes when it comes to meeting your business targets. While entrepreneurs and owners might be tempted to keep the bookkeeping rein in their own hands, it can often spell trouble, if they continue to do so. Entrepreneurs will often to push their businesses towards growth and in doing so, might fail to understand the need to keep the business compliant with the regional or local regulations. Running a business is a time-taking affair and ensuring compliance with various federal or local regulations needs experience and expertise in keeping authorities updated with necessary fillings. 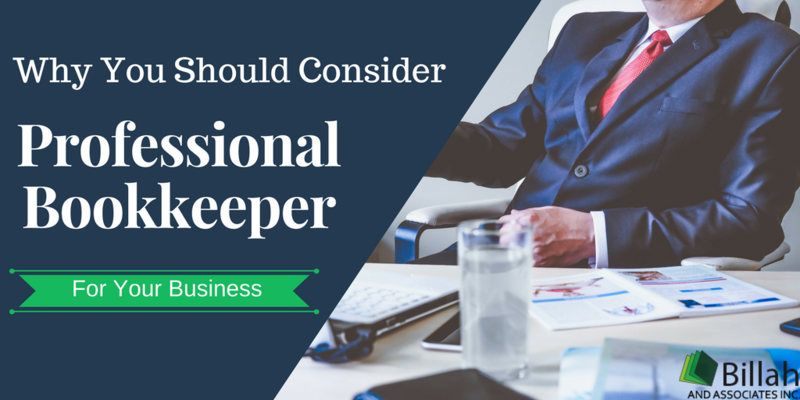 Professional bookkeepers are well versed in this regard and help to keep your business from being penalized on accord of non-compliance. While revenue is one of the most important aspects of a business, cash flow is really what keeps the business running and fund all its expenditures. As a result, having a clear and transparent picture of your cash flow is of paramount importance. Startups often underestimate the power that professional bookkeeping services can bestow upon a business, which ultimately leads to mismanagement of funds. Hiring a professional bookkeeper in Mississauga, Who can help you stay on top of cash flow and act as an advisory when it comes to decision making. When it’s that time of the year, and you need to file your earnings with the authorities, businesses can often struggle to provide tax preparers with the requisite financial statements. Businesses were owners take charge of their bookkeeping, can often struggle at such times if they are not proficient in keeping their accounts. Maintaining accounts as per the accounting standards followed in Canada are of the prime essence and in cases where the financial statements are not compliant with the tax code, can attract severe penalties, added with interest. Additionally, filling returns without making appropriate disclosures can result in paying the excess tax than originally required. As such, you might end up paying more taxes than you should or worse, get penalized by the authorities for erroneous fillings. While it’s commendable to try and save business resources by taking on accounting and bookkeeping responsibilities or by hiring your own staff, it might spell trouble if there aren’t sufficient resources dedicated for your bookkeeping services. This can disrupt the flow of business as precious resources will need to be directed towards a non-core service and additionally attract risk of non-compliance, something that can easily be resolved with the help of professional bookkeeping services Toronto.